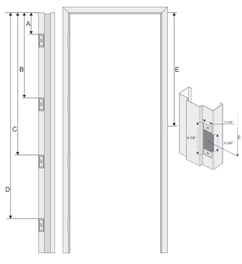 This form is used to measure the hinge and hardware locations of doors being retro-fitted to existing frames. 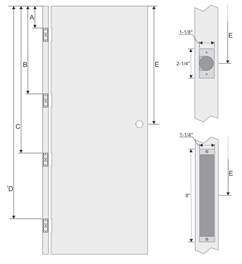 This form is used to measure hinge and hardware locations for replacement frames or as a guide for door replacement when the old doors have already been discarded. 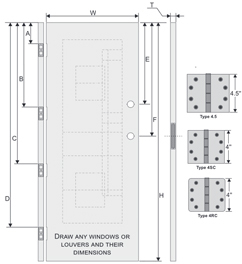 Use this diagram and table to identify common hinge and hardware locations for hollow metal doors. 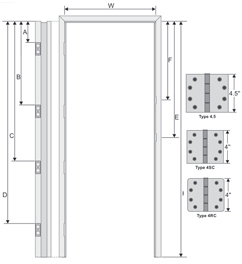 Use this diagram and table to identify common hinge and hardware locations for commercial metal door frames. Disclaimer: The information and procedures provided on this page are only general guidelines. Building codes, standards and accepted practices may vary based on your geographic location.